From 4 to 10 October the World Space Week (WSW) was held; it is an initiative established by the United Nations Organisation on 6 December 1999 to commemorate two important historical dates: 4 October 1957, the day of the launch of the Russian satellite Sputnik I, the first artificial satellite in orbit around Earth, and 10 October 1967, the date on which the first international space treaty was signed. Each year, the World Space Week Association Board of Directors, in close coordination with the UN Office of Outer Space Affairs, chooses a theme, which provides a guideline for WSW participants. The theme of the week chosen for 2018 is “Space unites the world”. 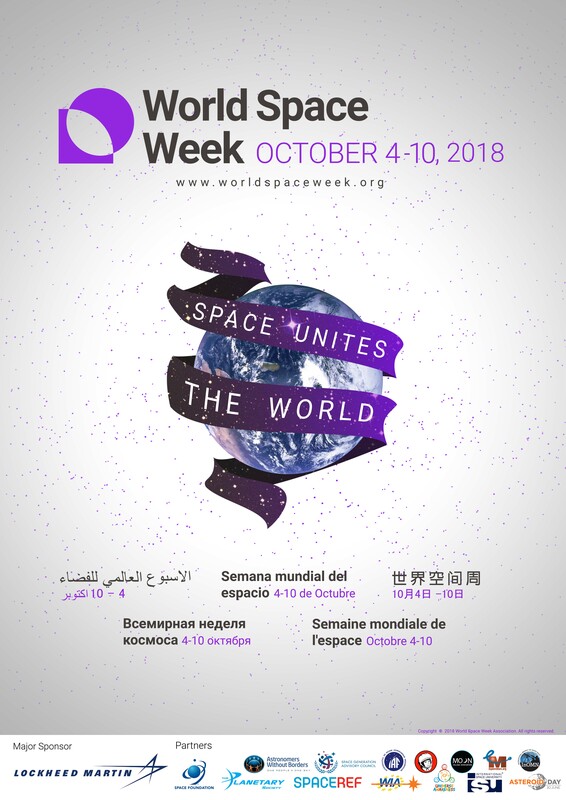 Since its declaration, in 1999, the World Space Week has become the most important world event dedicated to space, with more than 94 nations taking part in over 2,250 events and more than 1.3 million participants.